On reaching Delhi, transfer to Nainital. En-route visit Gajraula which is well-known for its tourist destinations such as Najibudaulah’s Fort, Mandawar Ka Mahal and Raza library. After arriving in Nainital, check-in to the hotel. 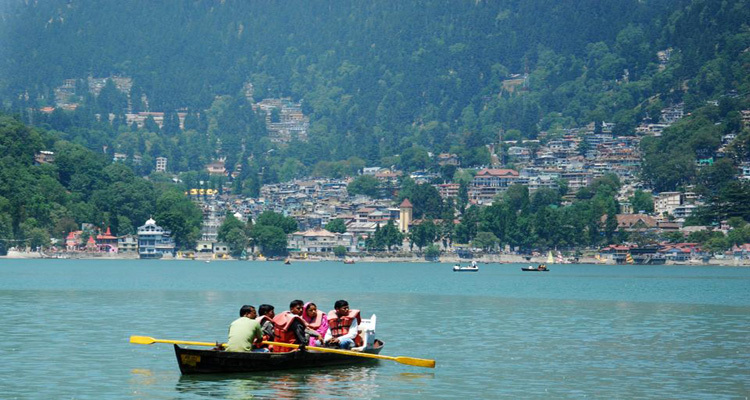 Nainital is a beautiful place which promises to calm your senses. Enjoy the day at any of the scenic locations of the place and relax yourself in a comfortable and calming atmosphere. N/H. Nainital. Munch your breakfast and then head to Mukteshwar for a full day outing. Set in the Kumaon Hills, Mukteshwar is popular tourist destination. Seek blessings at Mukteshwar Temple which is an ancient temple located in a beautiful isolated place. You can also visit the Little Church which is 75 years old and is located on the side of the hill. Also, you can enjoy a cable car ride to the Snow View Point. Later, return back to Nainital and stay overnight. N/H. Nainital. After having your breakfast, drive to Corbett National Park. The park is 60 km from Nainital and it covers an area of 521 km². The park houses more than 500 species of animals, reptiles and birds. The place offers a lot to those who wish to have a closer look of nature. 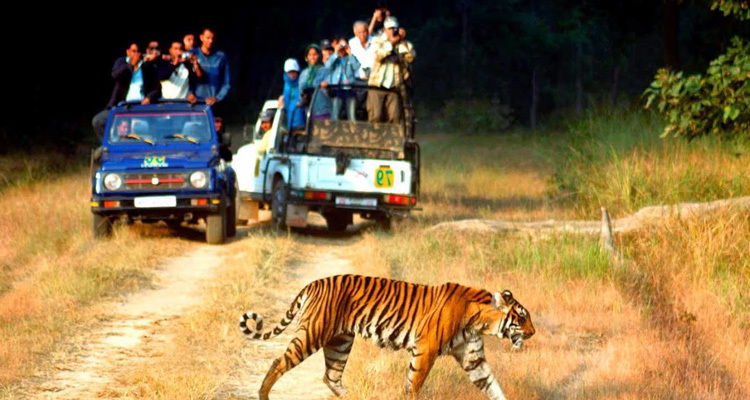 People can enjoy Jeep Safari and Elephant Ride in the park and enjoy their encounter with different species.Wildlife of the park includes the Tiger, the Leopard, slot Bear, Jungle Cat, Fishing Cat, Wild Boar, Langur and Rhesus Monkeys, Gharial and Muggar Crocodiles. On arrival, check-in to the lodge and stay overnight. N/H. Corbett. 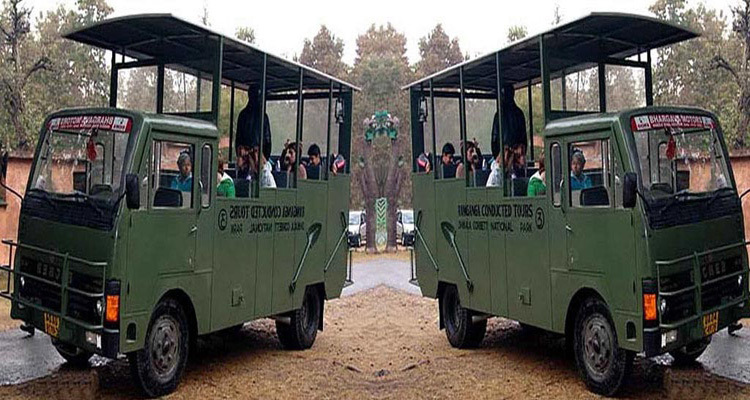 Have a memorable experience this morning by taking up elephant ride or jeep safari. Enjoy the pleasant climate of the place amid the greenery surrounding the place. In the evening either go for a safari to spot the wildlife or spend time at leisure. Dinner and stay overnight at the lodge. N/H. Corbett. 2 nights stay in Corbett. Any Entry fees, Jeep Safari,Monumental Entry tickets etc..